Pilot Jobs For Captains A320, B737 Type Rating, Pilot Training, Aircraft Delivery: If your airline are in need of qualified Captains, we can provide it for your airline. If your airline are in need of qualified Captains, we can provide it for your airline. Are you in need of pilots? We have a extensive network of pilots, at www.you-pilot.com we make sure that all pilots that are in our group are not not only up to the standards, we make sure they exceed them in every aspect. We work with Captains on a global level, if you are recruiting Captains in Asia, Europe, MENA, South America, our North America, we are able to help you. Contact pilot@you-pilot.com with your request. We can arrange simulator check, simulator training, on EASA, FAA, ICAO pilots. You-pilot.com take care of the entire recruiting process if you prefer that, from collecting the pilots documents, screening, and background check, to the actual interview, and after that we can give the pilot the actual training the pilot may need in order to become ready to start flying the line in your airline organization. If you want www.you-pilot.com to find a pilot that you employs direct, or if you prefer to lease qualified pilots on a short term basis, or a long term basis, we have the solution for you. How to be competitive in an online application environment, How to effectively prepare for challenging technical interviews. www.you-pilot.com are recruiting Boeing 737 NG Captain’s for our partner airlines. PPL FAA written exam preparation guide app. Air Guilin - A320 Pilot job offer, for Captains on the Airbus 320 family. How can a EASA fixed wing pilot, get the equivalent for helicopters? Helicopter Maneuvers Manual. www.you-pilot.com helicopter topic. Have you ever thought of adding a helicopter rating to your certificate? Airbus vs Boeing: The Jumbo Jet Race. Are you preparing for a type rating on the A320? Or do you have a sim check coming up soon? Then this is a very good book to prepare yourself. 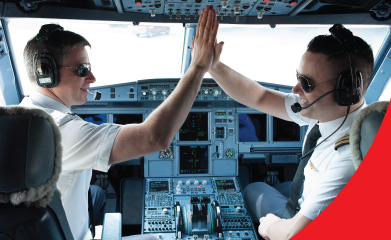 Are you an experienced Boeing 737 Captain? Norwegian about to start operating domestic flights in Argentina. Study guide for your PPL checkride. www.you-pilot.com are recruiting Airbus A320 Captain's and on the Boeing 737NG contact pilot@you-pilot.com for a very attractive salary tax free. American Airlines order 15 Embraer E175 Jets, will be delivered in 2019. We are recruiting Embraer E-190 Captain's together with our new partner airline in China. www.you-pilot.com are pleased to announce that we have partnered with Beijing Captial Airlines. Cathay Pacific, Second Officers, and First Officers. www.you-pilot.com are happy to present very good commuting contract, for pilots that want to fly for a airline in China. A320 Captain Position Spring Airlines. Learn to fly in Florida. Boeing 787 Dreamliner, breaks a record. Emirates are hiring FO, and DEC.
Airbus 320 family is often powered by the CFM56-5B engine. Learn to fly, find a good flight school. PPL, IFR, CPL, ME, CFI, CFII, MEI, ATP, Flight training course. Piltaus PC-12 is a aircraft we can deliver, sell, and give instruction to you in. The TBM700/850 is a aircraft we can deliver, sell, and give instruction to you in. www.you-pilot.com Pilot Recruitment, Flight Training, Aviation News. Awesome Inc. theme. Powered by Blogger.